In this review, I will reveal the seven different best mountain bikes under $500 you can buy online! PLEASE NOTE: Prices may vary and some bikes cost more than $500. It all depends on the seller. However, I try to keep all my posts up to date. If you see any false info, please let me know! Finding the right mountain bike for you can be tricky because you want to take it up to the mountains and you need it to perform. After all, you want a good bike that will actually last. Read below, I have best mountain bikes under $500 right here. Before buying a good mountain bike under $500, here are the best 6 7 you need to consider! Take me to the winner! REVEALED: The 7 Best Mountain Bikes Under $500 for everyone! Well, these top 7 picks are the best mountain bikes for under $500 dollars. Enjoy! It’s time to update our list of the best mountain bikes that you can get for less than $500. The newest addition is the Cannondale Catalyst 3. It has earned its place on the list because of providing unprecedented value for such a small amount of money. The best aspects about the Catalyst 3 are the low weight, 27.5” wheels, 21 gears (more than enough for any style of riding), and really attractive looks! The low overall weight is achieved thanks to the Cannondale’s SmartForm C3 Alloy frame with relaxed geometry. It puts the rider in a more upright and easygoing position. Therefore, neck pain and back pain will be a thing of the past for you. Apart from these essential features, Cannondale Catalyst 3 also has an SR Suntour Coil-powered front suspension. It has 75 mm of travel which is not enough to do extreme trail racing, but it’s more than enough to have a nice ride on a bumpy forest road. You can also ride that moderate single track that has been tempting you for a long time. Even though Cannondale Catalyst 3 costs well under $500, it does not use any no-name components. Instead, most of the components are provided by Shimano. They’re entry-level choices, but Shimano parts work really well even at this level. You will have 21 speeds in total and a 14-34T cassette, which is perfect for some decent off-road riding. When it comes to breaking, It is always a surprise to see disc brakes on a cheap mountain bike. It tells me that the company is not cutting corners, but trying to deliver a useful product to the customer. Disc brakes make all the difference on the trails. Thus, it’s good to know that Catalyst 3 has a pair of Tektro Mechanical discs. As we said, the tires are 27.5” in diameter, and they are 2.25” wide, with nice and gripping knobs. You’ll also get a pair of platform pedals and a comfy Cannondale Stage 2 saddle. Therefore, all you need to do is hop on and go explore! Conclusion: Cannondale Catalyst 3 is the right choice if you want a cheap mountain bike with Shimano components to have frequent recreational rides on nearby gravel roads. Please note: Currently, the price is over $500! Diamondback bikes are consistently some of the best ones entry level bikes available like you already know. They also have a good guarantee. 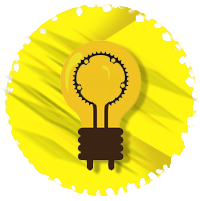 They provide value where it is most needed, like on components and strong wheels. Also with high-value standards, almost all bikes have disc brakes which aren’t common on cheap mountain bikes. When choosing inexpensive bikes, then Diamondback offers good quality. 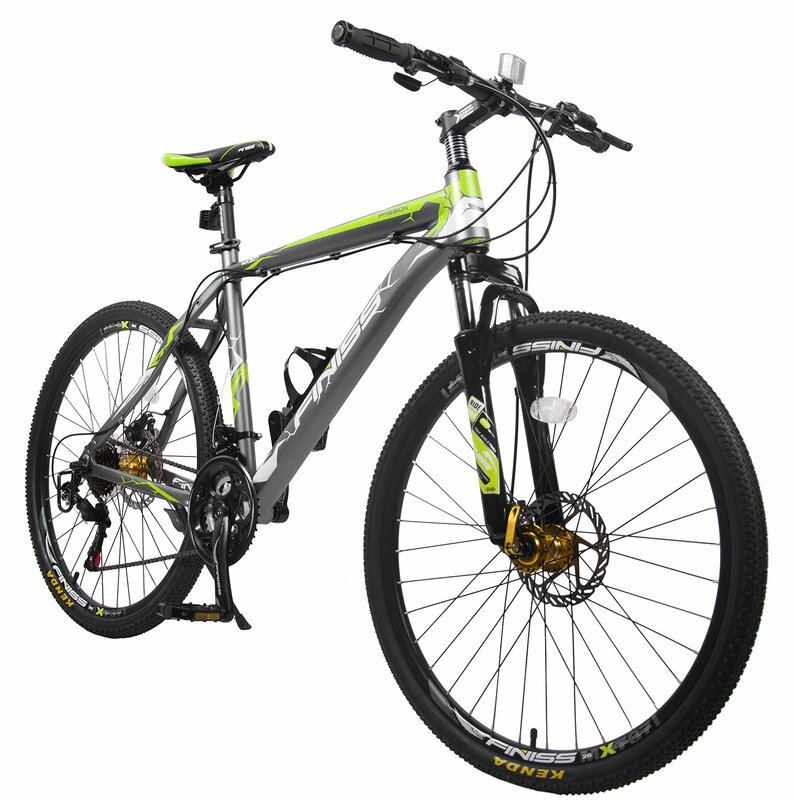 29″ wheels and disc brakes which allow you to negotiable obstacles and quickly stop. 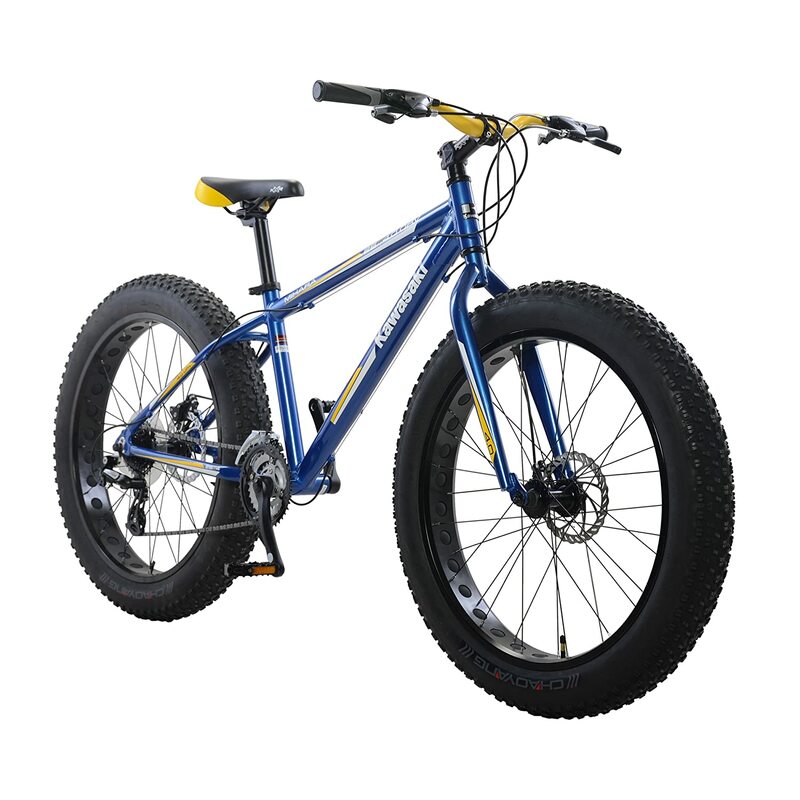 It has Schwalbe tires, which are the most widely used variety on traction bikes and a good kind of mountain bikes. Assembling might require some technical know-how to. When so done, it might be little on the heavier side, due to its aluminum frame. When inflating, keep in mind that it has Presto valves! Almost every MTB has Prestos, which require a Presto specific pump good pump. The Prestos used to be the valves, that nobody had a pump for. But now most of the bikes have them. Good Components: This hardtail bike has Shimano Acera derailleurs. I wouldn’t advise going any cheaper, so if you have $50, run to your local bike shop and buy the next level. It isn’t strictly necessary but if you want to you should, because for the price, it is good and worth it. The components on this bike are going to last until you decide to wrap yourself around a tree, but maybe you shouldn’t. Double Walled Rims: Many bike manufacturers, especially online cut the price on the rims and they can bend easily. The rims, like the frame, are however very important, especially on budget mountain bikes because they want to put very cheap parts on it. But the double walled rims on the Diamondback basically means that they have two layers for greater strength. Suntour XCT will fit make the ride smooth. The 27.5″ & 29″ and even women model! I am quite excited to introduce this great deal from Fuji! The venerable brand is well known in the cycling industry, but perhaps under-represented in our testing – until now. The Nevada 1.9 secures its place as one of the top mountain bikes costing under $500. With its unique, low-slung top tube, Nevada 1.9 29’s A2-SL frame design does more than look fast – it enhances rider confidence and performance on rough terrain by decreasing the bike’s standover height. I’m compelled to point out the Oval Concept handlebar, stem, saddle, and seatpost – these components are normally found on considerably more expensive bikes! Talking frame sizes, you can determine which Nevada 1.9 29 size is best for you by using this guide. I’ve found one review for this 2018 model, and am proud to report it was a positive one. The owner gave high marks to every aspect of the bike and found it a superlative holiday gift. So, this review definitely confirms our own thoughts about the bike and the value it represents! Aesthetics matter – the black and red color combination reminds me of the more expensive Specialized Stumpjumper. Fuji has done a fine job of on the Nevada 1.9 29; despite the low price, it doesn’t look like a cheap mountain bike. The Nevada 1.9 29 is available for just under $500, yet it’s enough bike to bring your trail and hybrid adventures to next level. This great value will provide years of performance and riding bliss to the entry-level rider you have in mind. Co-op Cycles may sound like a new brand to your ear, but we’ve monitored it for several years now. 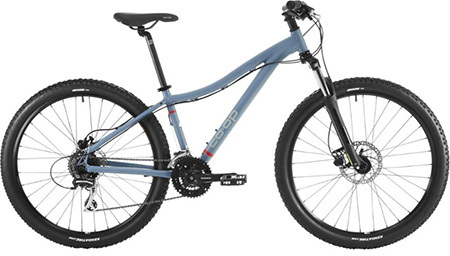 It’s owned by REI.com, maker of a few pretty slick mountain bikes priced at under $500 range. The DRT 1.1 is meant designed for men and the 1.1W model is also available for women. You can see the curved top tube, which is the essential difference between the women’s and unisex (read: men, in this case) DRT. Women who don’t need the enhanced low-slung standover height can choose the unisex model, optionally. The DRT 1.1W is the best mountain bike under $500 for women because of the excellent component spec and tailored fit for a female’s geometry. The bike employs lightweight 6061 aluminum alloy frame tubing coupled with 100 mm of the front suspension, which will make all trail surfaces feel much smoother, and also will increase the rider’s control and confidence. Another standout feature of DRT 1.1 is that it has not only disc brakes but hydraulic disc brakes. This means that you’ll need less power to operate these brakes than you would non-hydraulic disc brakes. The bike’s overall weight of 30 lbs. won’t prohibit a rider from carrying it up and down stairs. (All MTBs under $500 weigh similarly, if not more.) The bike requires minimal mechanical prowess to assemble – the provided comprehensive instructions and tools make it easy! User reviews confirm our thoughts –The DRT 1.1 is very intuitive and easy get comfortable on, and some owners point out that it’s a steal at this price. The word is out! The DRT 1.1 is a great choice for those who are making their initial foray into mountain biking and seeking a reliable “companion” to see it through. We hope that more and more riders discover Co-Op Cycles because it looks like they might be the new Diamondback – proven to be reliable and a great value! Our Top Pick – Best Fat Bike Under $500! Did you know that Kawasaki doesn’t only make motorcycles but bicycles as well? What’s more, they’re very good at it. This MTB review page would not have been complete without a fat bike, as they are becoming more and more popular. With that in mind when choosing mountain bikes under $500, the Kawasaki Mihara fat bike was the most logical choice. Fat bikes are versatile workhorses of the cycling world, which can tackle any kind of terrain. Thanks to their monstrously wide tires, you can comfortably and confidently ride a fat bike over rocks, through mud, and even on deep snow. It won’t give in in any situation. Moreover, fat bikes are usually more robust and less complicated than other types of bikes, which makes them the perfect candidate for entry-level riders since maintenance is much easier. Kawasaki Mihara combines aluminum and steel to achieve an equilibrium between weight, speed, comfort, and durability. The frame is made of lightweight aluminum, while the fork, which is rigid, is made of tough steel. The wheels are 26″ in diameter and come with a set of knobby 4″ wide tires that can basically go anywhere. All fat bikes usually come with disc brakes, since they need more stopping power because of their higher weight. Kawasaki Mihara has a set of mechanical disc brakes, which might need more strength in your fingers to fully engage, but they brake much more efficiently than V-brakes. We believe that each best fat bike under $500 should have disc brakes. At this price, you cannot expect high-end components, that’s for sure. However, Kawasaki Mihara doesn’t give you the cheapest components either. It comes with a pair of Shimano Alivio front derailleur and a Shimano Altus rear derailleur, which is really decent for this price. Fat bikes usually do not come with a lot of gears, but Kawasaki Mihara is an exception. You’ll be pretty happy with the 24 gears you have at your disposal, so you’ll be able to be fast on the flats and ride up most of the hills. Give it a try! All in all, fat bikes are really fun machines, but they are much more than a toy. If you haven’t ridden one so far, we recommend Kawasaki Mihara as it’s great value for the price – fat bike for under $500 – give it a try! The Gloss Aqua blue. Satin Slate Blue also available. When it comes to mountain bikes under $500, you want a bicycle that is versatile, has a quality build but also looks good. You’ll get all of this and some surprises if you buy the GT Aggressor. It’s an entry-level do-it-all mountain bike that will get you through an off-road commute, an easy-going weekend ride, and even over a moderately demanding terrain. GT Aggressor won’t give you the same confidence a high-end mountain bike will, but you can be confident that its components can deliver in most situations you find yourself in. It comes with entry-level components, yet they are Shimano, which is a plus since it guarantees quality and endurance even at this level. The front derailleur is a Shimano Tourney, while the rear derailleur is a Shimano Altus. It has 24 speeds in total, which offers you a large ratio of gears – both very slow ones and those that can get you going when you are in a hurry. To wrap things up, GT Aggressor is one of the best deals you can get if you want a quality bike but you don’t want to cash out more than $500. Moreover, it’s available in two attractive colors – light blue and dark blue – so it even looks more expensive than it is. This Finiss Merax is hugely popular on Amazon with over 100+ reviews. Let’s look closer, and see what the reason for all of the attention is. It’s fairly cheaply priced. For under $500 – actually below $300 in most cases when I checked. However, what about the components? In this price scale, you can’t expect anything superb, but there can be a nice balance between the good price and quality. It rolls on 26“ wheels, which are double walled. It makes them little-bit stronger compared with single-wall rims but heavier too. It is only available in one size (19“) for riders from 5’10“ to 6’2“. The frame material is aluminum, which Merax claims have been heat treated. Typically bikes have 1 color-scheme and different frame sizes, this Merax has 1 size and 3 different color schemes! Merax claims its weight to be around 33 pounds. It’s not light, but decent for the price. It uses mainly Shimano low-level components which are better than some third party components. 21 gears are absolutely enough for different riding situations. It has a front shock with 80mm travel. Typically the best mountain bikes under $500 have 100mm which is better, but this bike is much cheaper too. It can perform, but if you’re above 200 pounds, then it’s too much for the shock. You can always upgrade the front shock if you feel the need. It has both front and rear disc brakes. You will need some tools to assemble it. Just make sure to attach the pedals, wheels, handlebars, and to pump up the tires. The assembly instructions are good, but if you’re not familiar with bike assembly, then you might want to bring the bike to a local bike shop and have them do it for a fairly inexpensive price. This is a good pick for those who are looking at the best mountain bikes for under $500. Check the best sellers and feedbacks on Amazon, it tells the same thing, this bike is worth buying in this price scale! We tested six bikes and found them all to be great values and competent machines. But which one would be the best for you? If you want a true taste of mountain biking, it’s hard to beat the Diamondback Overdrive 29. Seriously! But, if some aspect of the bike does not suit fancy, our next-best alternative would be the Fuji Nevada 1.9. We’ve got great feedback from our readers on both of these solid options. Full-suspension bikes are exciting to ride, as many dirt cyclists will attest. 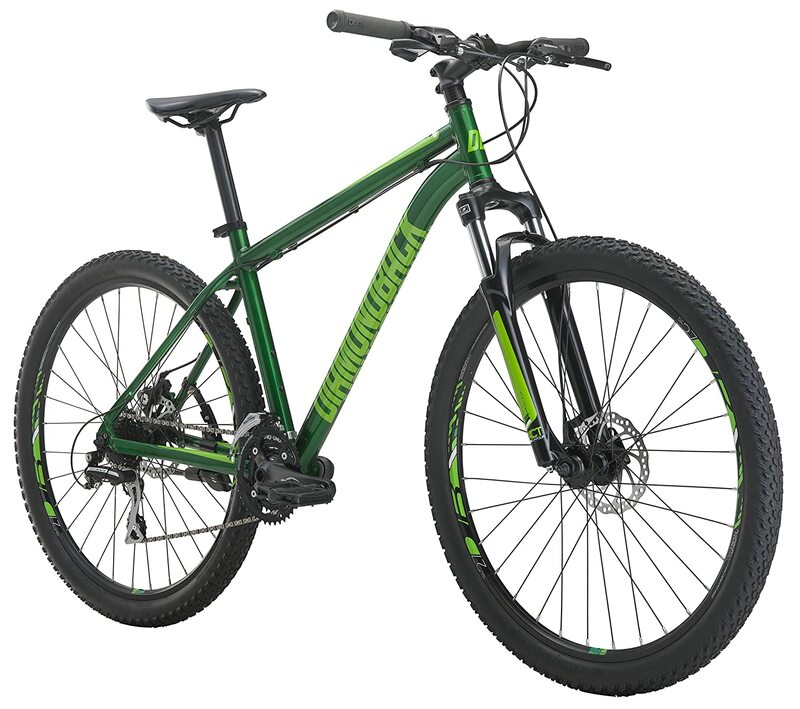 However, the only full-suspension bike we’ve found in this price range was the Diamondback Recoil 29, which is out of stock now. 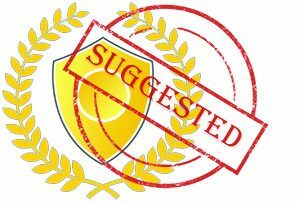 We have yet to identify another suitably-similar model, but we’ll be sure to make it known if/when we do. For all-terrain fatbikers, we found the Kawasaki Mihara to be the best pick. Fact is, women can always use men’s bikes, and many do. However, the best women-specific mountain bike under $500 that we’ve located is the Co-op DRT 1.1W. For the most part, you get what you pay for. If low price is your priority and you are satisfied with weaker components, then we’ll suggest the Finiss Merax, which will fulfill its duties if maintained regularly and not abused. Not Sure, How to Assemble a Bike? Click Here To Order Proper Bike Assembly From Amazon! 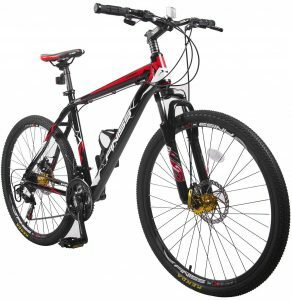 One may be hesitant to purchase a cheap mountain bike from online, but be sure, it is a strong contender. For brand bikes, you usually pay at least 30% for the name alone, while lesser known best budget mountain bike manufacturers work hard to make quality bikes that could rival “Scotts” or “Treks“. You can read about them here on Bikeradar. All of the bikes have firm lightweight and high-quality frames and the only way to go up is to buy a carbon fiber frame, which is considerably pricier than the cheap mountain bikes discussed here. 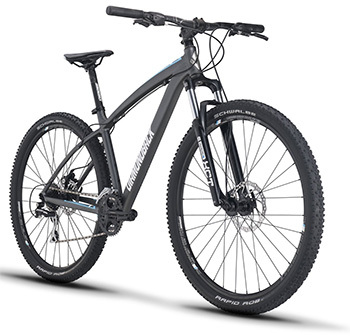 I suggest you buy only the best hard-tail mountain bike because full-suspension bikes need more money and you can’t afford them under this price range. While they might require some basic assembling, i.e handlebar or rims installed, we would advise any one of these bikes as top notch entry level options and you shouldn’t worry about the less than perfect quality – they are great for training and exploring new roads. 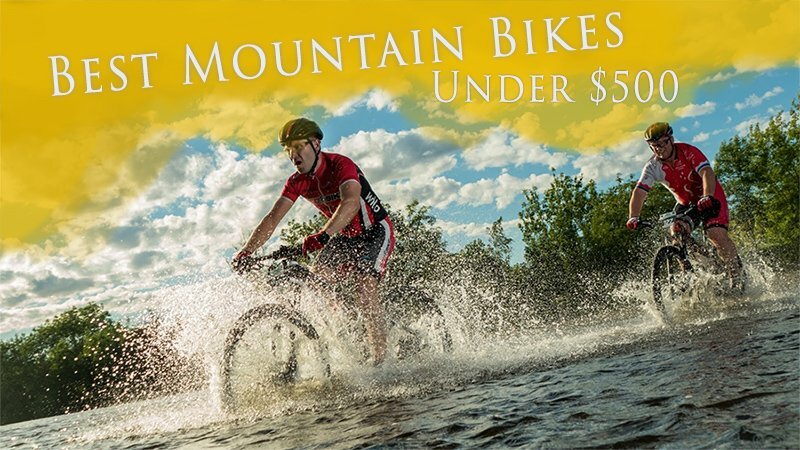 Hope you found the best mountain bikes under $500 for 2019! Mountain Bikes Under $1,000 – You’re not a beginner anymore?